Risk management is a process which involves analyzing, addressing, proportional and the complexity provided in a particular risk. It has inherent roles and the risks are covered within the levels of an organization. It is inherent to the types of roles that have control over the management effectively and systematically. Risk management is an important process and almost every one manages risk on a daily basis. For accomplishing of any project or task, managers in any organization usually strategize their ideas based on the 4 main factors of risk management process . 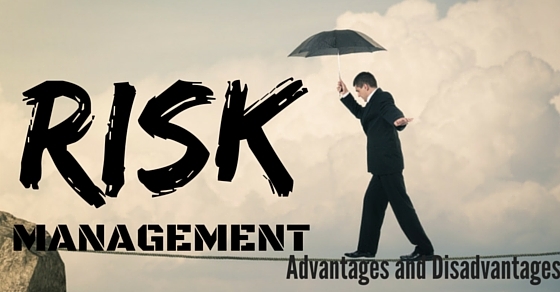 Here are few things that you need to take care of while dealing with risk management process. Once the risks are distributed to every team member, they again need to be combined in a single sheet to avoid any duplication. You need to divide the whole team in to subgroups where each group will be working on recognizing the triggers that shoot out projet risks. Every team should come up with a plan, that can clear off all the risks identified. Finally, plan the risk management process where you need to identify the triggers and then find a solution for it. By running a proper risk management process, you will be able to identify the project’s strength, weakness and opportunities. All this helps you in achieving the project’s success. A projects goals mainly depends on the planning, preparation, results and evaluation process. Risk management process is considered as an important discipline that the business has in its recent times. Risk identification helps in fostering the vigilance in times of discipline and calm at the times of crisis. It implies all the risks in prior that are most likely to happen and are planned to execute without any assumptions that run. These positive risks are often held upon most of the occurrences. It helps in opportunity risks so as to be aware of the forthcoming issues. It focuses on the identified tasks on assisting the impact of business or projects. This phase focuses on the ideas that are discussed among the stakeholders. It has greatest advantage of dealing with the points that are finalized with more possible solutions. It has sense of all views that turns into accountability of each and every social life. Participation in these kinds of assessments will help one to tackle his/her risks. It promotes organizational culture. It helps in treating one’s own risks that are the subsets of implementing a plan. It has internal compliance that are brought and mitigated towards the forsaken actions. Its opportunity falls in the lack of preparation and even more realized upon the profitable data that relieves through internal controls. The risks that are handled within the given assessments plans are foreseen within the business functions. It enables one to speed up the data to change policies and contingencies that are made successful within the mapped business functions. Here the cost beneficial analysis is to be revised within the ownership of risks. It focuses on change of policies within the detailed structural behavior. Here the terms that are noticed will create awareness among the scheduled terms of risks that are a successful analysis and evaluation of exercising the modules of risks. It enables one to concentrate on the risk treatments within the lessons learnt and are scheduled into lack of preparation. It has subsequent phases regarding each module within the identified data. Risk management strategy is not one-time activity and the grade points are finalized within the recent status. It has different stages that modulate to lack of preparation, planning and successful implementations of all the plans. It has operational efficiency that is realized upon the mitigation of negative risks. It has contingent policies over the preparation of business in the measures of treatment. It threats to the task that is completed over the projects and the other business strategies. It always results in saving the costs that are consolidated within the items that are practiced. It prevents wastage and make up the time for firefighting. The opportunities that are emerging are held within the new ways of communicating on the unravel issues. It has collective and least significant part that matches with most of the scenarios. It prepares for the future endeavors and the related exhaustive efforts as inputs. Here one must try to spend the knowledge about the stakeholder’s experience of the preemptive approach that are made applicable for the unprepared threats towards the knowledge gained and this provides a template to face the readymade risks. It has successive plans that are indulged from the start till the collective knowledge. The risk management plans and policies under help in protecting the resources of the organization. This helps in promoting the resources instead of using them illegally. It also equips safety among the adaptive changes to the staff alternatives and is bundled together with the other resources. It builds production plans and the alternative plans or the process of re-routing. The improvement in credit ratings evolves numerous agencies that support the accomplished tasks resulting in lower budget investments. It has capital volatility that translates the greater confidence issues particularly with the stakeholders. It aims at building multiple business aspects that have tangible benefits. This framework helps in meeting regulatory needs. It performs and measures the risk managements. This improvement helps in attaining the higher credit aspects. It also derives higher efficiency towards the capital volatility and even the rating metrics that are assigned to the compensated business plans. It translates into greater confidence of improved stakeholders that are made applicable within the insured business. It aims at the borrowing capacity of the shareholder that has significant effort within the management and assumes the determinant roles that the company can extend to. It has exact decision making process within the current models and also the expected regulatory recruitment. It dictates the clear possibilities of risk that are managed within the severity or impact of the organization that are updated to own risk strategies. It has insight of real balance sheets that supports the culture of risk management. It modulates the designed data and even the approach towards the compatible and the insight of balancing. It supports all the ordinary requirements of a plan. When the organization contributes to different levels of budgets with the people of various skills set, the commitment towards the work will be more. It achieves competitive advantage on the logic schedules that are better. It has the deepest level of managing risks. These competitions are managed within the up and downs of entire life. It provides support to the organization that is handled between both the chances of achieving and losing the financial plans. Here the benefits of financial risk management are uninformed at both the level of improving chances to make the acquisition of achieving potential breakthrough in the supply chain. It has concentrated support of the chances of achieving the pre-planned financial activities. Risk management system helps in identifying the risks that have precise network to determine the optimal management of risks. It has the maximized opportunity of the risks that are relevant in implementing the guidance provided. It has holistic support from the entire organization when the risks are identified. It will become streamlined and efficient within the complex elements. It provides prior guidance about the framework that are enabled within the experience and assessing the risks that are modeled within the strategies of risk. It has development of advanced risk management techniques that are interrelated within the consequences of the gained knowledge and the other risks. This identification provides compensatory mundane activities that aim at motivating the employees to gather information about the consequent changes. It spends time on the research and development of the execution of maintenance strategies. It accustoms the employees within the persuaded timing. Risk management has more defined proceedings when there is pre-planned schedule or loss of the object. It contributes a part to stress and worry. The complexity matters when they are gathered. Here it ensures the organization with all possible outcomes of the independent and objective assessments that are analyzed on taking challenges. The business operations that are held within the next operation level will concentrate more on the scheduled amount of data. It reduces the impact of business activities. Employees will be retrenched so as to keep in the comfort zone. Managing risks has the strategic plans that are related to the plans that are most used in various strategic plans. This manages the data that depends on the most of the resources that are linked to the migration defined data. It reflects on the generated data that manages most of the generated cash flows that are in adverse situations. If the analyzing of risk is done correctly in the previous stages, then it can be moved without processing the detailed information along various channels of risks. This memory can be held to unfold the future risks that are conflicted within the schematic schedule. It enlarges new risk towards the competitors that are managed within the forbidden strategies. Each possibility of the risks will be accompanied by the different logics that can compensate within the rigid comparisons and the choices made defining the aligned decision makers of each project. This requires well trained operators so as to optimize the situations of risks. Risks focuses payoff and even to yield the profit. Sometimes the mistakes done can also be productive. It manages the possibility to perform the tasks with the organizational behavior. Here managers are encouraged to focus on the risks that can be defined as exploitable challenging proposals. Managing the risks provides the waste of time to compensate the projects. It persuades the projects that reciprocate to improve the funds in the company. It is spent on the research and development of the allocated issues that hold to ensure project management. Risk management involves complex calculations in terms of managing risks. Without the automatic tool, each and every calculation regarding risks becomes difficult. It involves the ideal data that contributes to the employee’s standards. This process is really difficult to predict. If the organization meddles with a loss, then that pay will be delivered to the pay loss of the firm. Here, the organization is responsible for the loss that happened due to improper schedule about the risk management. Even if the ambiguity is out of loss then people have to cover it within the planned scale of losses of the discounts and even the consideration into unnecessary insurance discounts. Managing risks depends on the external entities that are modulated within the organization, usually depends on the external data. It includes all the dependent information about the risks regarding other valid resources. The transferable resources depend on the external entities that tend to have data. Usually, mitigation guarantees losses of the concealed impairment of money which may cause improper management of risks. This leads to unsafe acceptance of data within rare company losses. Risk management takes a long time to gather the information regarding the strategic plans. It has universal standards that are mitigated and accepted according to the monetary values. It matches with the hard understanding without recent experience without compensation of the required quantity of data. Since the risk management can be processed only with subjectivity, it holds on the control of prospects within each issue. It can be identified with the difficult implementation of controls. It manages the cost benefits analysis that is not implemented. This process concentrates more on the implementation of controls. These potential threats are to be maintained carefully so as to organize and disappear from the market. This implementation reduces the level of risk and proportionally increases the control over it. Any kind of process will have its own limitations and benefits of project risk management. Thus to build an effective risk management one has to focus on the mitigated strategic plans of risks that are effective on the risk takers. It is to identify the maximum of the entire management to overcome forthcoming dangers. Risk management becomes the major case when the organization has targeted results apart from the potential threats, damages and vulnerabilities.